The Clifton accessory range features elegant and timeless styling that will suit all traditional themed bathrooms. 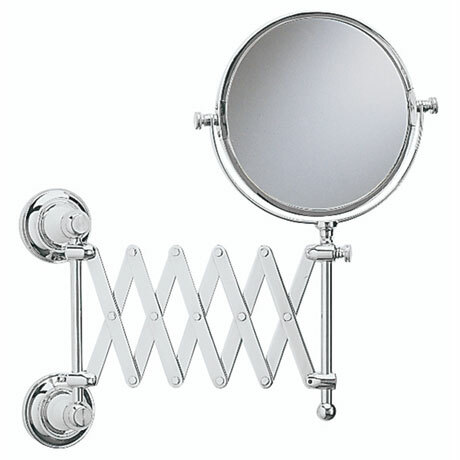 This extendable mirror features a swivel design with a plain mirror on one side and 3x magnification on the other. Manufactured from brass and finished in chrome. Comes with a 2 year guarantee covering manufacturing faults.